The ‘Best’ ‘Best of Wine Tourism’ to date? 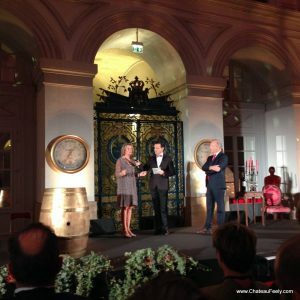 Best of Wine Tourism Great Wine Capitals Bordeaux edition 2018 the best ever? The autumn glow of the vineyards provided a spectacular backdrop to animated conversation on my shared ride with charming Karine Lavau of Chateau Bernateau St Emilion grand cru, on our way to the Chamber of Commerce and Industry 15th edition of the Best of Wine Tourism Great Wine Capitals in their palatial reception rooms on the Place de la Bourse in Bordeaux. Allan Sichel, current President of the CIVB offered a grim estimate that 2017 would be -40 to -50% for the region of Bordeaux. Bergerac estimates -50%. Climate change means more climate related losses and reason to pat ourselves on the back for pursuing diversification of tourism to help offset these risks. To help forget this bad news CCI lined up a little humour and song and dance. 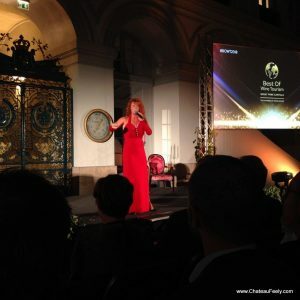 The awards showed that the heavy hitters of Bordeaux are taking wine tourism seriously. Two Bernard Magrez estates Pape-Clement (laureat accommodation) and La Tour Carnet (laureat Art & Culture) and a Fayat estate Chateau La Dominique (winner Architecture and Landscapes) were in the line-up.The accommodation category was a chance for Chateau Feely to be on stage as the winner of last years trophy, a moment to highlight how inspirational and motivational these awards are. Gratitude and congratulations to the team particularly Catherine Leparmentier and Lydie Bordes of the CCI for their work. 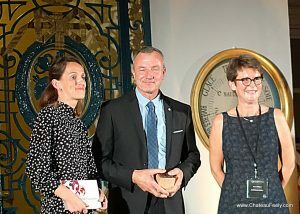 In the two categories we won the gold trophy -visits that highlight good environmental practices in 2013 and accommodation in 2017 – this year Chateau de la Dauphine of Fronsac won the first and Chateau le Pape (with Caro Feely below) won the second. 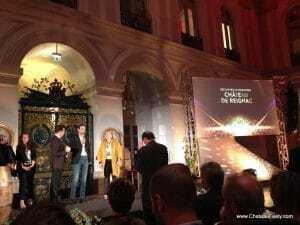 Innovation category winner Chateau le Reignac impressed as did arts and culture category Chateau Castera. The quality of the award winners was extravagant. Given the means that large businesses can throw at tourism and the scale it is easy for us small players to feel crushed. Chateau Soutard, owned by AG2R le Mondiale, (global insurance company), another winner in 2017, said they receive more than 13000 visitors per year. As we headed back to St Emilion Karine and I discussed how small estates like ours could hold our own in this exploding market. We could see that passion, imagination, art and ecological commitment were some of the ways to do this as well as truly embracing the digital world. 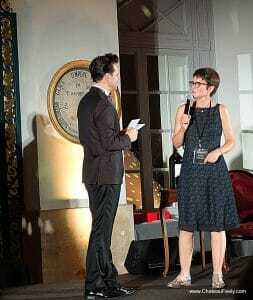 On the whole I felt invigorated and motivated by the awards – a great opportunity to network and to see what others are doing and taste their wines too. While there were many estates talking of organic and or biodynamic there was only one fully certified organic in the Laureats and that was Chateau de la Dauphine (winner of the valorisation of ecological practices category) followed by Chateau Boutinet, in conversion to organic and then du Tertre who said they are doing some biodynamics (I read that they are doing organic and biodynamic trials but are not certified) but their transition to this mode of production will take them until 2030 at least. 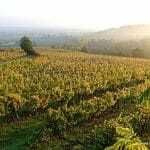 Being certified organic and biodynamic is not easy and that is why there are relatively few (but growing TG) of us. The contenders were all of such quality and grandeur that for me this was the ‘best of’ the best ofs to date. The only category sorely missing was the restauration at the property- a sign that this remains an under-served category in wine tourism in the region. Order from Feely online organic wine boutique , learn more about organic farming and wine at out Wine school or read Caro’s books Grape Expectations , Saving our Skins and latest book Glass Half Full to discover more about wine and the story of building an organic vineyard. 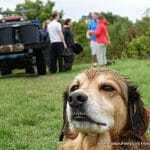 You can also join the mailing list at the bottom right of the homepage to for latest news or follow us on facebook or instagram.